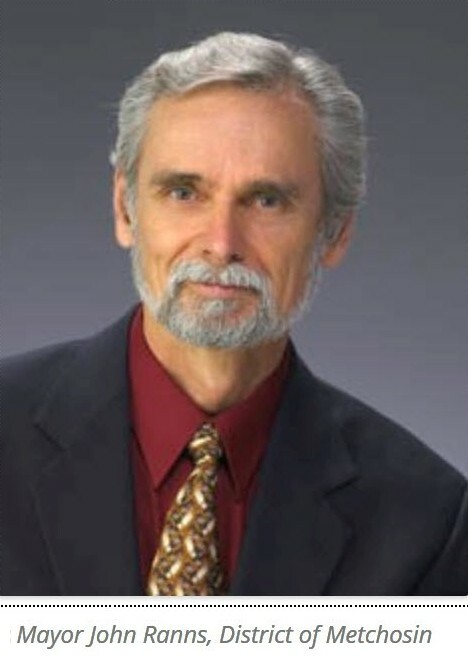 This article outlines a sometimes overlooked strategy for fighting the forced installation of smart utility meters and which would help reestablish the boundaries of governments and corporations, specifically with regard to the intrusiveness of smart grid technology and its ability to “get inside the home.” It is possible that the approach outlined in this article may offer a more effective route to ultimate victory as compared to other options currently be utilized by many concerned consumers and activists. The current strategy for opposing the deployment of smart meters typically employs demonstrations, protests, and other actions taken against utility companies and public service commissions. Some court cases move forward, but in this area, the utilities usually have the upper hand due to their deep financial pockets in defending their interests. Somewhat neglected in terms of engagement are the politicians themselves who have the authority to write laws that would protect the people from intrusive and risky technologies. Last year this website featured an article by a small town mayor on the southern coast of Vancouver Island in British Columbia, Canada, in which he appealed to the conscience of politicians on smart meters. Mayor John Ranns has since made a presentation on democracy and how to apply it in the fight against smart meters. Specifically, it can be used to help concerned consumers more effectively engage with their politicians as potential allies in reestablishing the boundaries that governments and corporations should not be allowed to cross. Editor’s Note: Please keep reading. 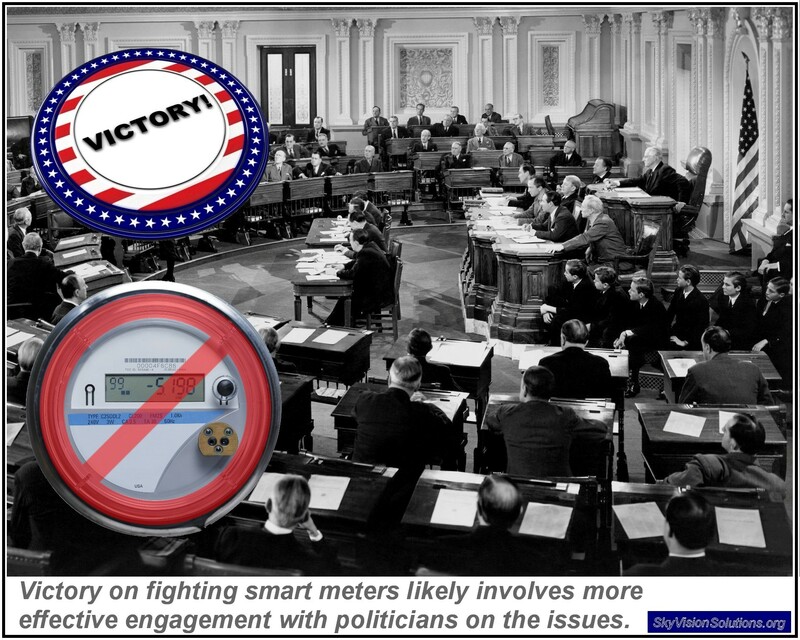 This article later provides ten (10) tips on how to better engage politicians on smart meters. For those interested in freedom and for those interested in preventing the forced imposition of utility smart meters, please take the time to read and study what follows. Editor’s Note: The original presentation by the Mayor has been condensed to about two-thirds its original duration for purposes of this website. A video also follows the written text provided below; you can decide to read or scan the written text or watch the 13 minute video. The text has been slightly edited for better readability as part of this blog article and emphasis was added primarily using bold font. “In a free system, democracy has to have boundaries. It has to be able to protect the minority as well as serve the majority. Stuff like that should never have happened in a freely elected democracy, but it did. And the reason that it did is because the elected people didn’t understand their responsibilities. They didn’t understand that their responsibility goes beyond just making things work for the present. Their responsibility is to protect our free system. And that they haven’t done. And frankly people, that scares the hell out of me. Technology is moving so fast and is so pervasive, that if we lose the understanding of where that’s going to take us, then we are going to lose our freedom. … Now they want to measure our activities inside our homes. We must reestablish the laws, the idea, the belief that there is a line that government and corporations cannot cross, no matter how convenient, and no matter how [persuasive] the argument is. So what do we do about it? … So we have to figure out where to best focus our energies. So do we start with Hydro [the utility company]? Is Hydro going to help us? Well, you can forget that. It is a government monopoly with a board of directors that have made a billion dollar mistake. … They’re not going to admit to that any time soon. How about the regulatory agencies? It’s been my experience over a number of years now that there isn’t a regulatory agency in this country that’s got any teeth left when it comes right down to it. How about government? Well, yea, government can help. But you have to understand there’s two parts to government. There’s the one part which is the elected people, and their job is to set policy based on what you want. The other part is the much larger part and that’s the bureaucracy. Their job is to expedite policy. So there’s no point going to them; they’re not going to help, because number one, it’s not their job, and number 2, it is not in their self-interest. So then that just leaves, and I really want to emphasize this, where you should be focusing your efforts is on the politicians. They’re the ones that have the authority to change policy. They’re the ones who got the authority to rewrite the tariffs. And they are the only ones that will reestablish the boundaries that will protect us from them. But they’re not going to do it unless we tell them to do it. And that leaves you. The ultimate responsibility for the protection of our society is up to you; it’s up to us; it’s up to all the people that live in this world. We have to get the message to the politicians. I don’t want to be clichéd here or sound clichéd, but if there’s one message that I have to give you here and that is that you have way more power than you think if you use it wisely. Let’s make sure that the politicians enact legislation on smart meters consistent with the above principle. Inform politicians of the full ramifications of deploying smart meters. Engage politicians in a way to establish a relationship, not just stating your position. Be civil. Make your politician want to help you. Don’t get too technical when you’re talking with politicians. Stick to fundamentals. Explain to politicians how their actions or lack of action will cause hardship to real people on the fundamental issues of health, privacy, consumer safety and choice, and freedom. Keep your message short and to the point or else it may never get the attention it deserves. You don’t need a lot of people to get your point across; one person with the right message can make a big difference. Don’t compartmentalize your representatives. Forget the party labels as we deal with basic common issues, such has freedom. Be patient; a true victory takes time. Some will be skeptical of the above approach as there is a well-founded belief among much of the population that lawmakers are bought and paid for by corporations. In the area of smart meters, smart grid industry contributions to politicians no doubt add up to a large sum of money. In response to that viewpoint, one must realize we don’t need all politicians on our side, just enough who are truly motivated by the desire to do the right thing. If we can maintain our focus on fundamental societal issues such as privacy, freedom, and consumer choice, we may have a better chance for success. 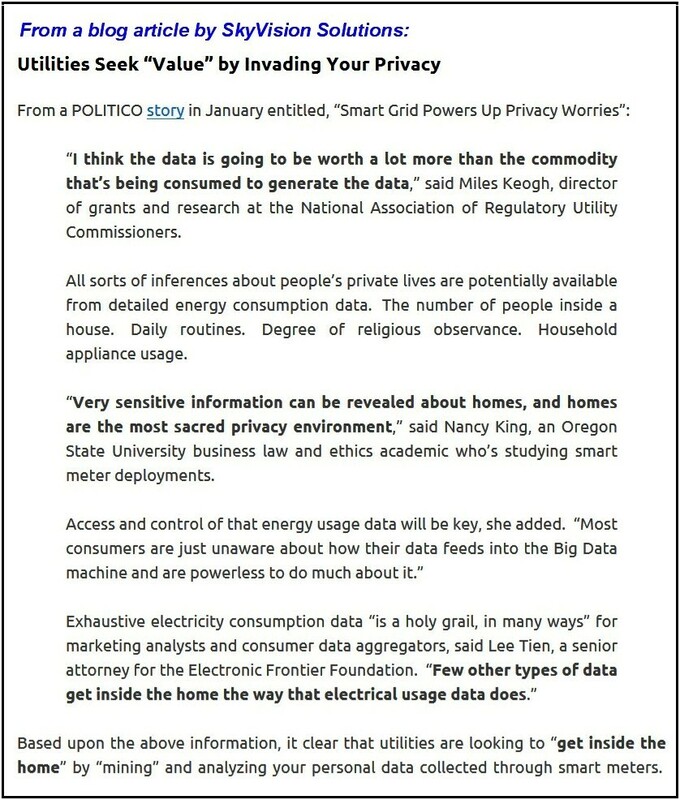 This entry was posted in Smart Grid, Smart Meters, and RF Emissions and tagged Health Effects, Politicians, Privacy, Smart Meters. Bookmark the permalink.